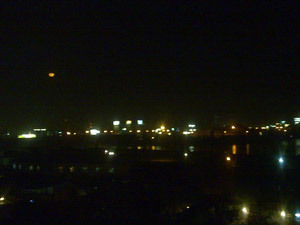 And that’s the moon over Bombay’s skyline. But, the moon, however, wasn’t orange – it was pink. Seriously. Twitterstanis who attended @adese’s birthday will vouch for it. Taken with my mobile phone, it’s actually amazing any colors came through at night, though!